Ombretta Pettinato is SDA Lecturer of Corporate Finance and Valuation and Adjunct Professor of Corporate Finance at Bocconi University. She joined SDA Bocconi School of Business in 2002 where she has been teaching courses in Corporate Finance and Valuation in the Master in Corporate Finance, Executive M.B.A. and Executive Master in Corporate Finance programs. From 2010 to 2014 she was the Director of the Executive Master in Corporate Finance and Banking (EMCFB) and she was also involved in the development of several custom programs for corporates about investor relations and financial communication.During her academic career, she also conducted numerous researches and consulting projects for corporates, including fairness opinions, discounted cash flow analysis, brand valuation and venture capital valuations of seed stage startup companies. Her research focuses on advanced topics in company valuation. Her current research activity focuses on valuing difficult-to-value companies such as young and growth companies, companies with “intangible” assets and private companies. During her visiting period at NYU Stern School of Business (2015-2017) she focused on both valuation and pricing of digital and social media stocks and the key metrics driving market prices across social media companies. Her current work examines the relationship between equity price forecasts and forward rating events by analyzing a large, cross-country sample of rating actions and equity target prices. She is Co-Editor of numerous books such as the Italian edition of “Corporate Finance” (Authors: D.Hillier, S.Ross, R. Westerfield, J.Jaffe, B. Jordan), McGraw-Hill, 2012 and “Prodotti Strutturati” (Authors: S.Tolle, B. Hutter, P.Ruthemann, H. Wohlwend (Wegelin & Co), EGEA, 2006. She is also author of articles published in the Harvard Business Reviewand Economia & Management. She joined New York University Stern School of Business as Adjunct Professor of Finance in May 2017. Since September 2017, she is also Lecturer in Corporate Finance at Columbia University (New York). 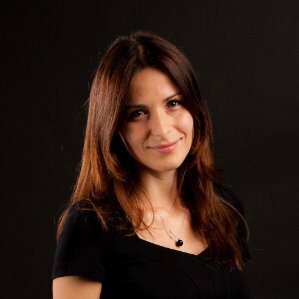 Ombretta earned an MSc in Economics and Management from Bocconi University and she received her Ph.D. in Finance from Trieste University.